We have combined the benefits of our traditional thrice Blessed Salt with the presence of Palo Santo to create a powerful and useful Salt for your ritual needs. This Salt can be used in place of traditional blessed salt interchangeably. 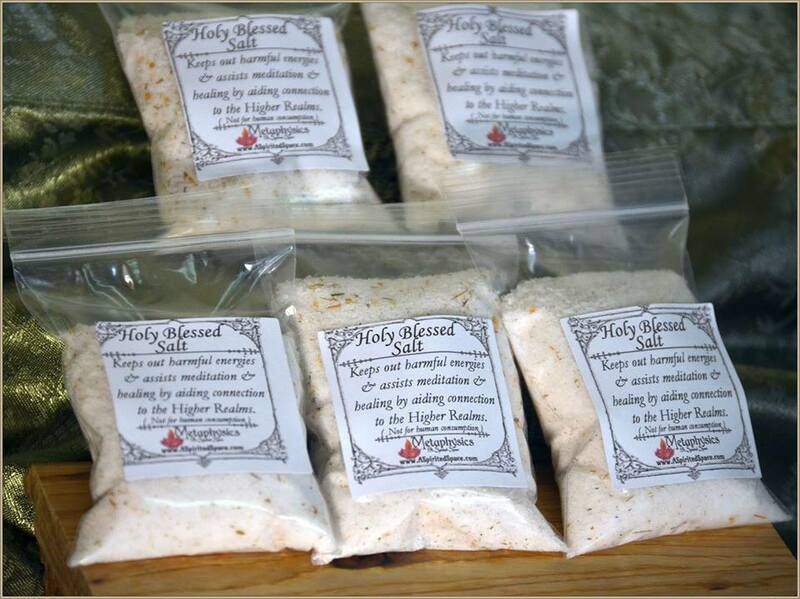 Holy Blessed Salt is especially useful to repel Negative entities from entering a home or space. Our Holy salt is also very useful for your meditation space, it will keep out harmful energies as well as assist in connection to the Creation forces. Holy Blessed Salt may be sprinkled in a room, across a threshold, or around the border of the whole room as an invocation of divine protection. This mixture of salt and Palo Santo is also especially good in use in a healing room, or a person’s sick room, as the properties of the Palo Santo will also assist in the faster recovery of illness.